Mind, Body, Movement...Think,Eat,and Move Properly! Get Up! Get Moving! Get Healthy! Dr. Fancher will be practicing out of our Williamsville Office. For an appointment Call 646-4000. 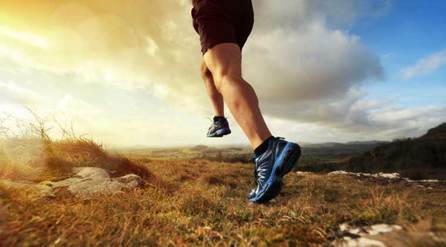 ​as well as optimizing wellness." Get Up! Get Moving! Get Living! We are a Patient-Centered and Evidenced-based Musculoskeletal Healthcare Practice. Above all, We try to restore your health as quickly as possible in the shortest period of time! 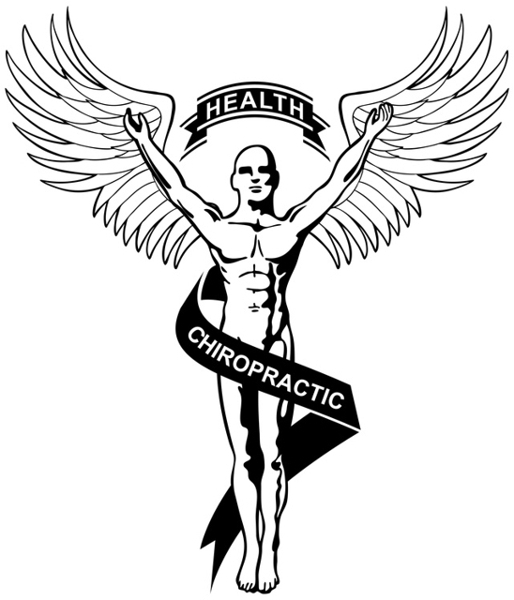 ​Chiropractic is a health care profession that focuses on disorders of the musculoskeletal system and the nervous system, and the effects of these disorders on general health. Chiropractic services are used most often to treat neuromusculoskeletal complaints, including but not limited to back pain, neck pain, pain in the joints of the arms or legs, and headaches. We uses soft tissue manipulation/mobilization/ stretching techniques in many different ways. In general, we use it to evaluate the condition of tissues and quality of movement. Fascia is tissue found in all parts of the body. It connects all of the body’s structures at both superficial and deep levels. We evaluate the fascia and muscles to find areas of restriction, and then use soft tissue manipulation to make sure the length and tension of the fascia are properly functioning. 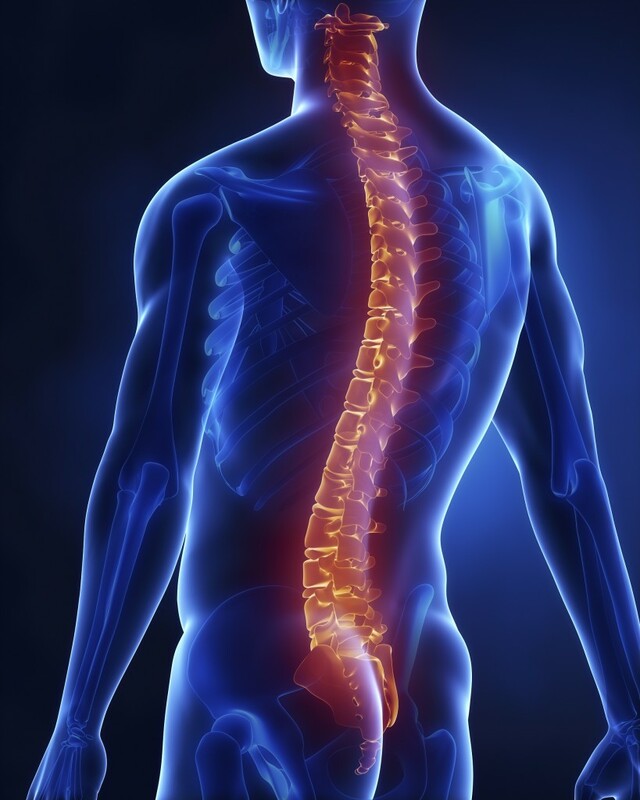 The goal of Cox Technic is to restore function and help the spinal pain patient go from "pain" to "no pain" as quickly as possible following the "Rule of 50%" which governs the Cox Technic System of Spinal Pain Management. Although Doctors of Chiropractic (DCs) treat more than just back pain, many patients initially visit chiropractors looking for relief from this pervasive condition. In fact, 31 million Americans experience low-back pain at any given time. We encourage our patients who suffer from neck and low back pain to participate actively with their own recovery by performing specific exercises, returning to daily activities as quickly as possible and being compliant with our prescribed recommendations. We will educate you and provide you with the "tools" needed to assist you in your recovery. Of course, getting better is only the beginning, since future episodes of neck or back pain are quite common to re-occur. Whether suffering from the first bout of neck or low back pain or following extensive treatments or even surgery, the best way for patients to avoid or minimize the severity of recurrences is to rehabilitate the back through appropriate rehabilitative exercises. Patients will be prescribed individualized exercise programs specifically tailored to their condition and beneficial to their recovery and return to their normal lifestyle. Below are some links to sites that have helpful information. 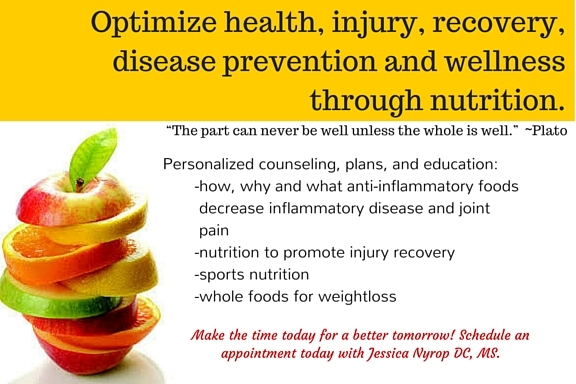 See Dr. Nyrop today for diet, nutritional and exercise advice. Spinal problems can have profound effects on your health and with chiropractic care our goal is to restore and maintain your health with gentle hands-on treatment of your joints, muscles and spine. With improved function of your spine and entire body we hope to obtain resultant pain relief and restore vitality and health thereby allow you to resume your normal lifestyle.